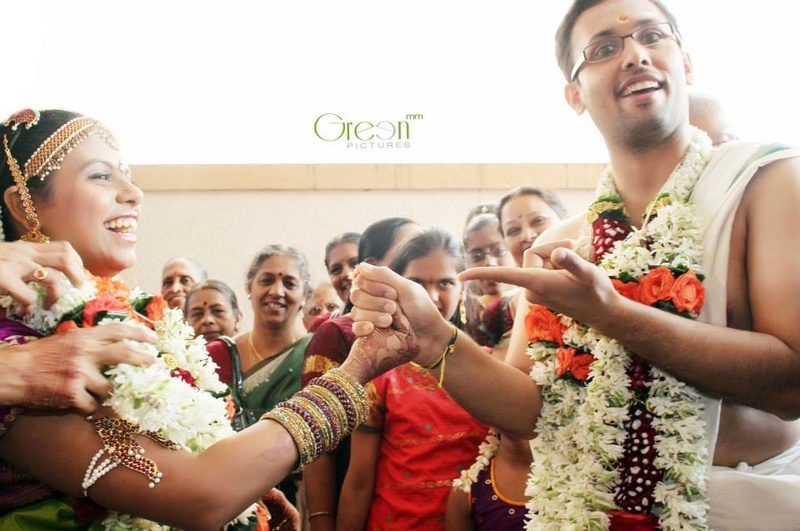 Anusha and Anantharaman got married in a joyful South Indian wedding filled with meaningful customs, rituals and traditions. 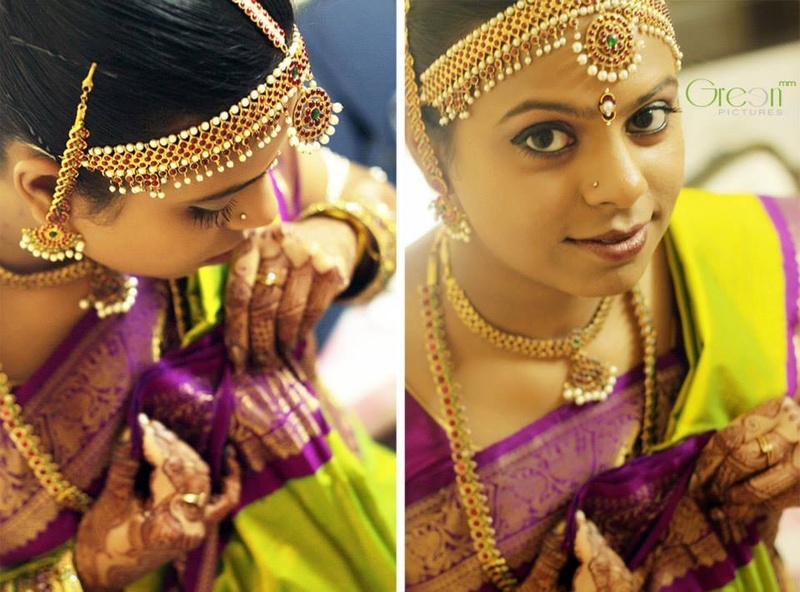 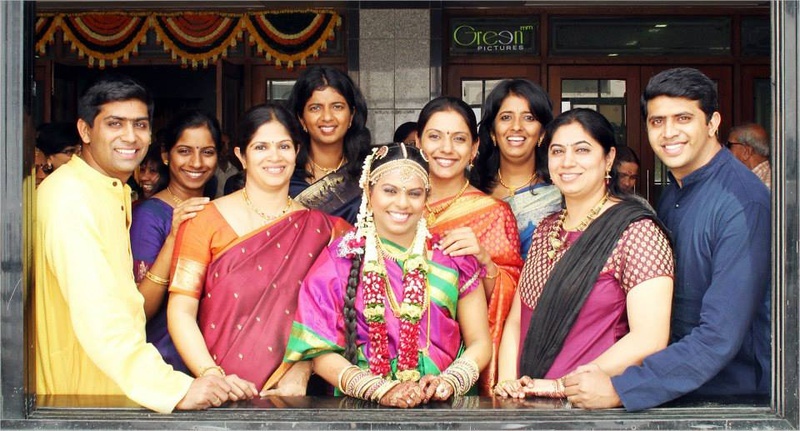 Anusha dazzled in a purple Kanjivaram saree with a gold and green border. 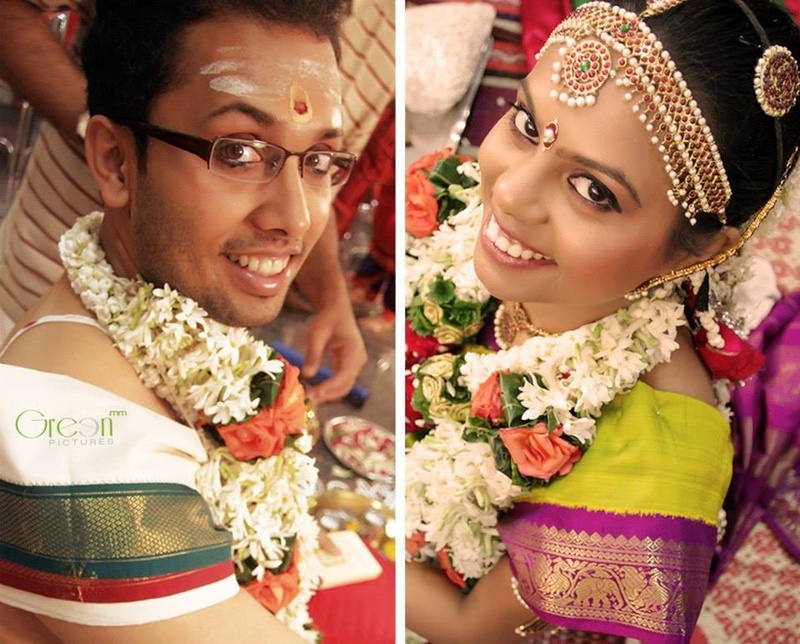 Her bridal jewellery included a pearl mathapatti, gold necklaces and a wonderful pair of earrings that matched. 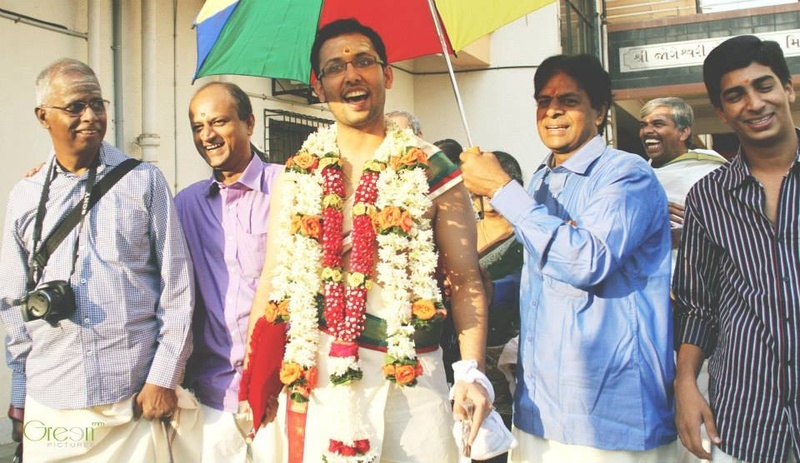 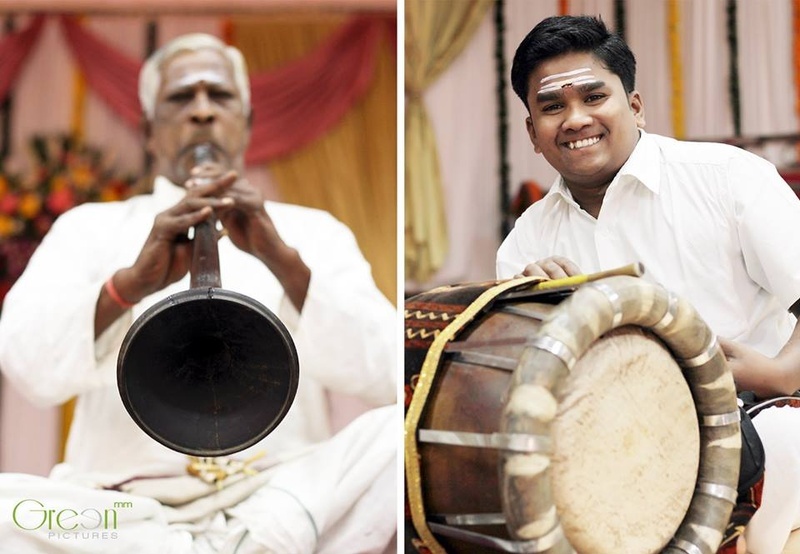 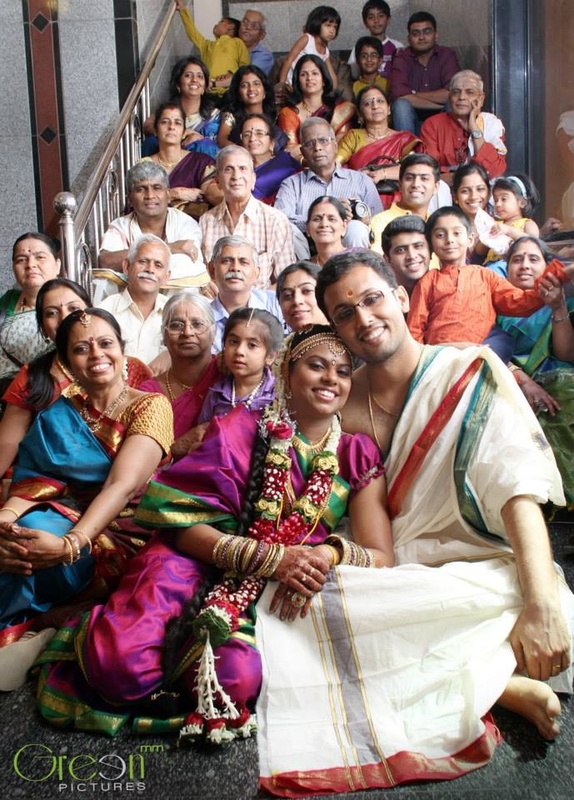 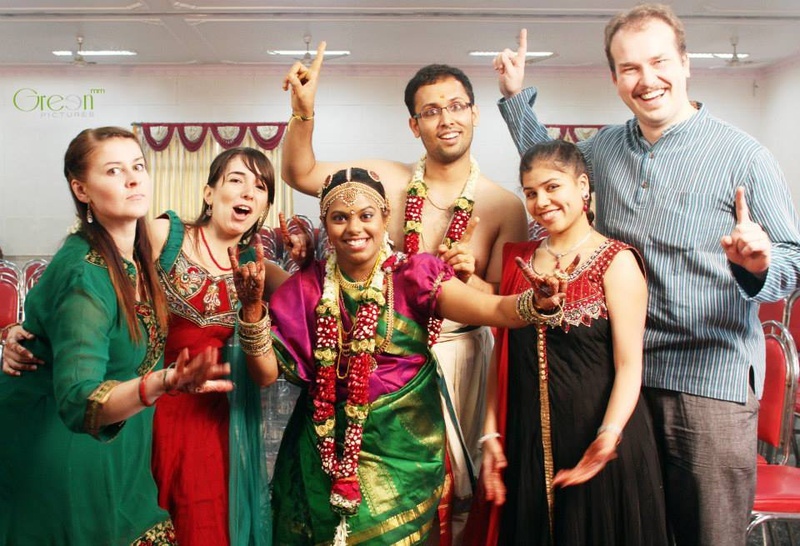 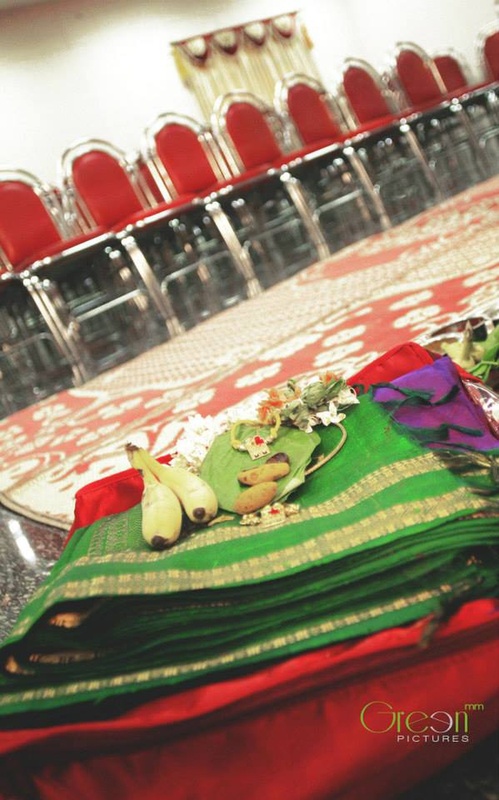 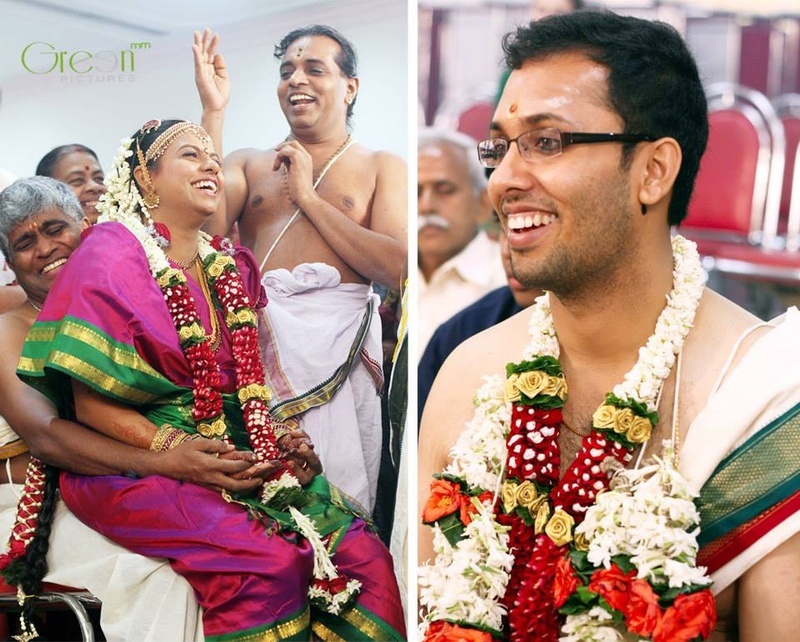 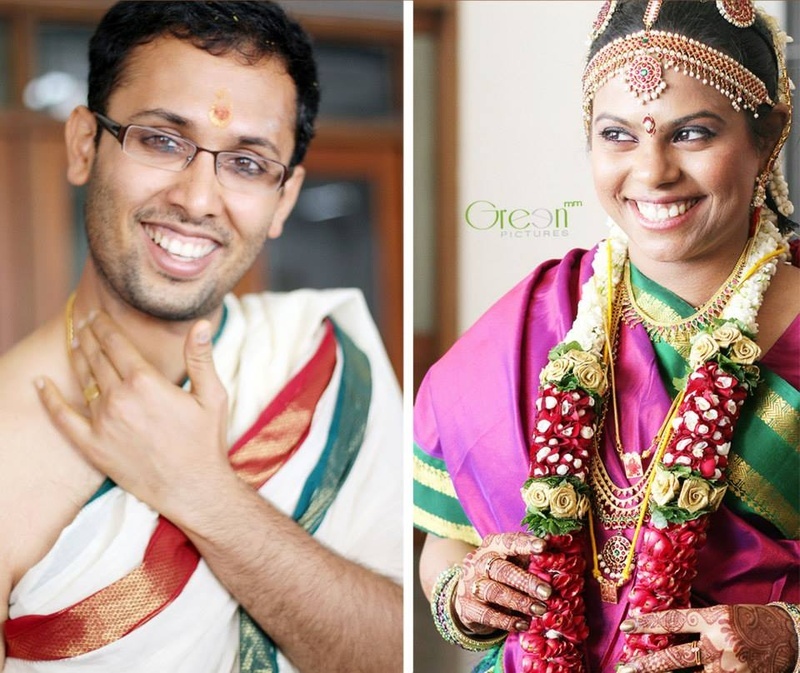 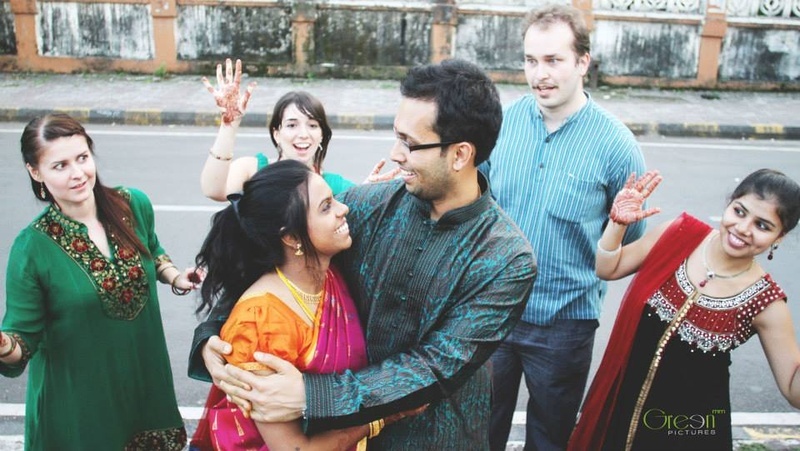 Ananthraman went with a typical South Indian groom’s attire, wearing a lungi and the janaeu (a sacred white thread worn by the Brahmins) At the Jayamala ceremony, the bride and the groom were lifted by their family members, in order to exchange garlands, and what a way they did! 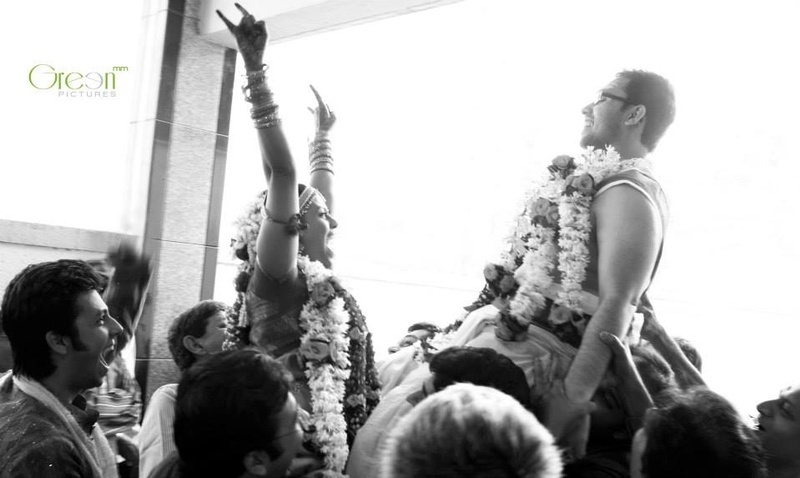 The bride enthusiastically raised her hands in celebration after she put the garland over the groom’s head. 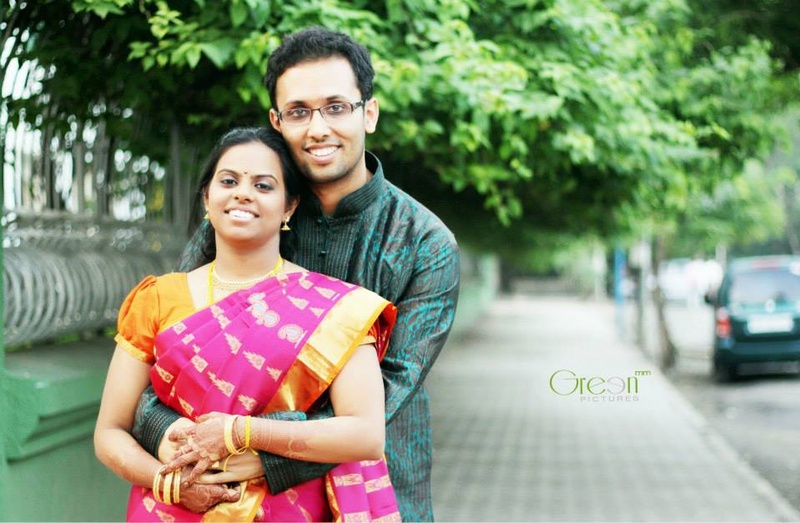 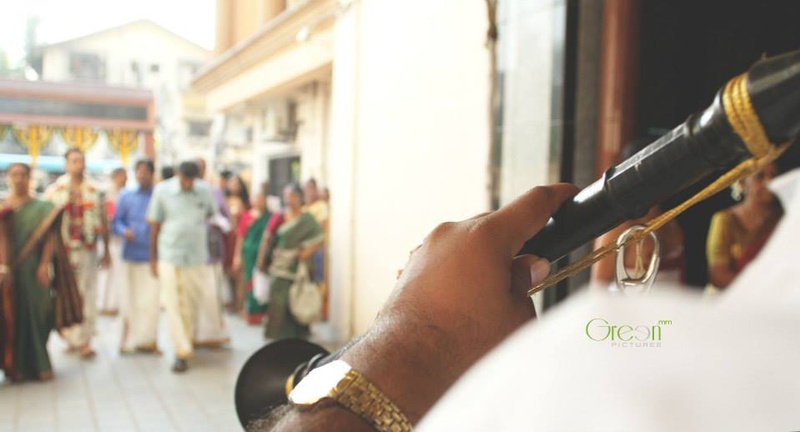 Whether it was the romantically posing in middle of the road or a happily-ever-after family click, Green MM Pictures captured fabulous moments through their camera.